If you would like to schedule an appointment online, please fill out this form. We will contact you by email or phone to verify the appointment. Please allow 24 hours for an appointment to be made. Appointments scheduled within 24 hours of their submission time may not be able to be met. 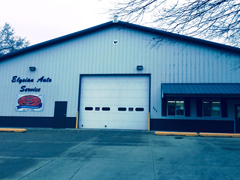 Carl, Susan, and the entire staff at Elysian Auto Service are completely committed to making sure your cars and trucks are safe and performing to its peak. We are here to help you. Furthermore, we want to earn your friendship while we maintain your vehicle.